Go back to school with fun and teachable moments with this pack! 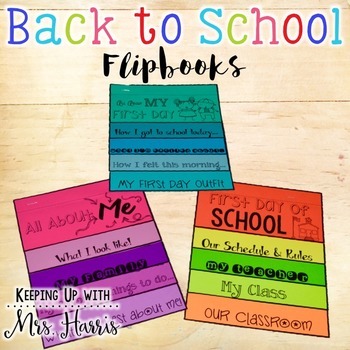 This pack of 3 different back to school flip books will have your students engaged, focused and ready for a fantastic school year. All you have to do is print! 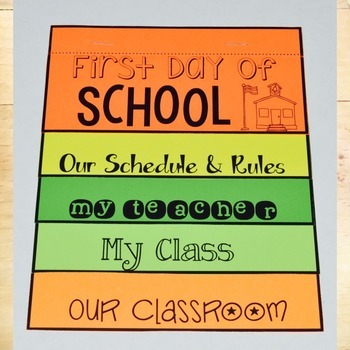 There are three different back to school flip books: First Day of School, All About My First Day, and All About Me. The two print options allow paper saving options for colored paper or white paper. 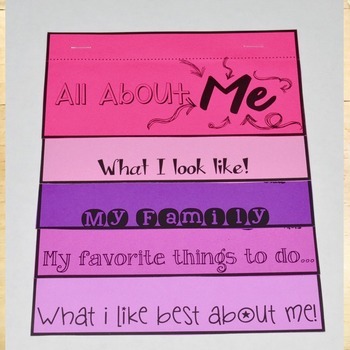 Have an idea for a back to school flipbook you would like to see added? Comment in the Q/A section. These will go perfectly with all of your back to school day fun!